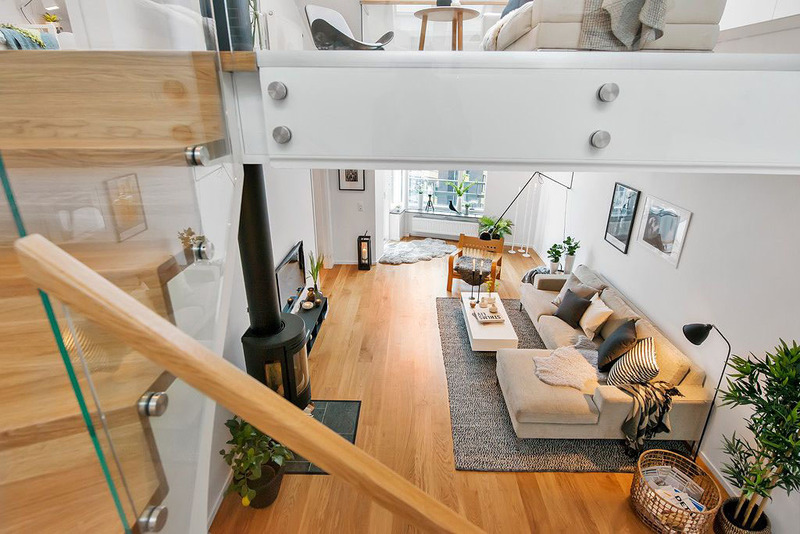 The floor plan of this modern small apartment in Stockholm, Sweden has a long narrow design which calls for a little creativity to keep the space open and bright. 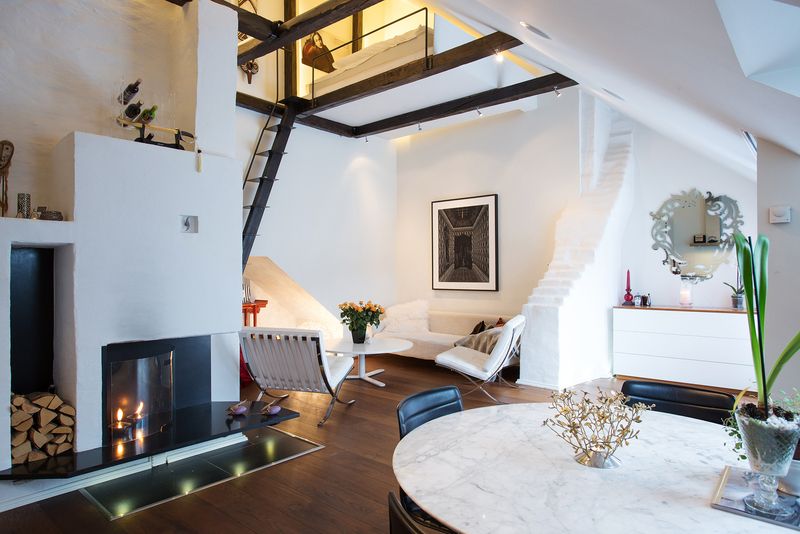 This lovely two-storey attic loft apartment in Stockholm, Sweden has an extra sleeping loft on the main level. The design features high ceiling on the lower floor which has direct access to the separate sleeping area. This 46-square-meter (500 sq. 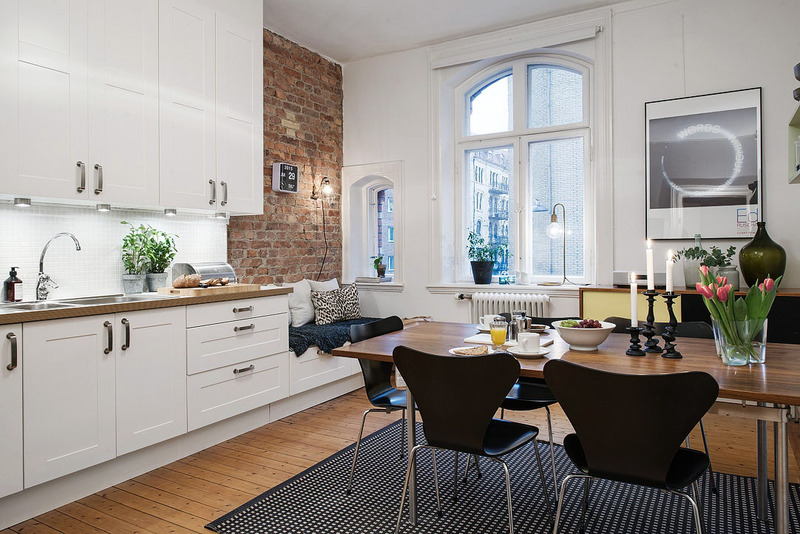 ft.) studio apartment in Gothenburg, Sweden has a newly renovated kitchen that is almost as large as the main living area! 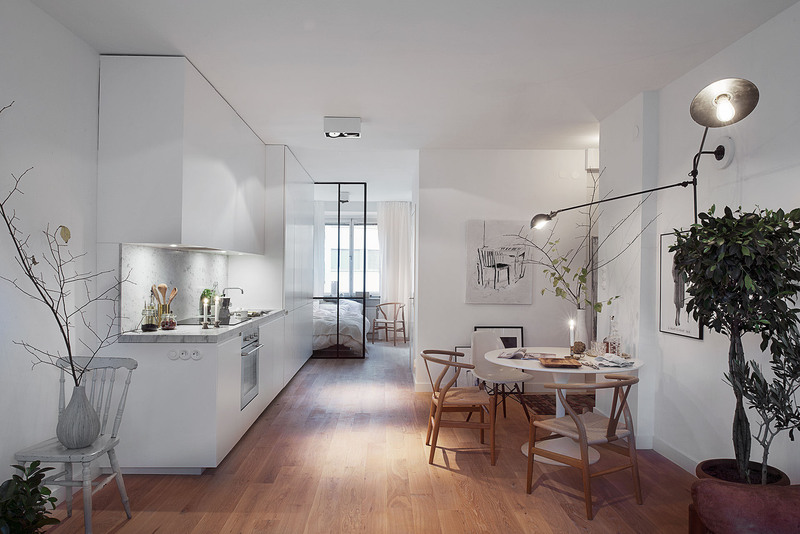 This modern duplex apartment in Sweden features bright white walls with a simple elegant design. Its modern Scandinavian style and natural light from floor-to-ceiling windows enhance its spacious feel. 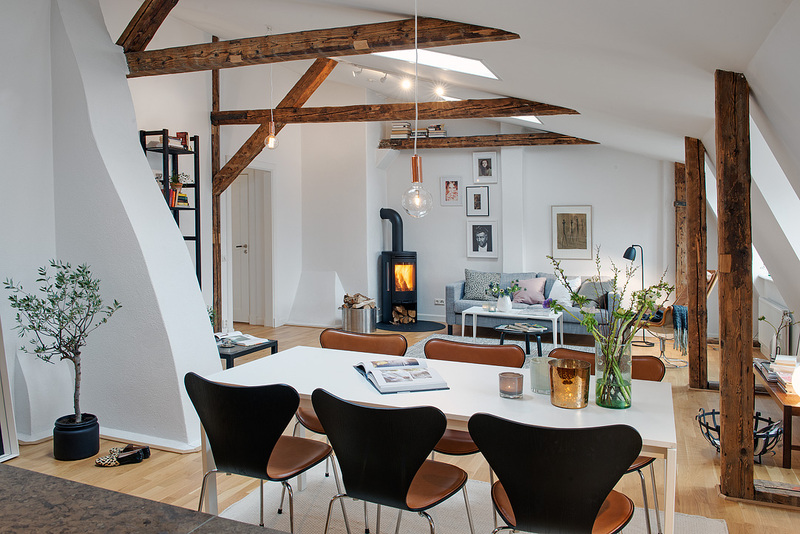 This newly renovated loft apartment in Gothenburg, Sweden has a spacious open floor plan and rustic exposed wood beams framing the space. 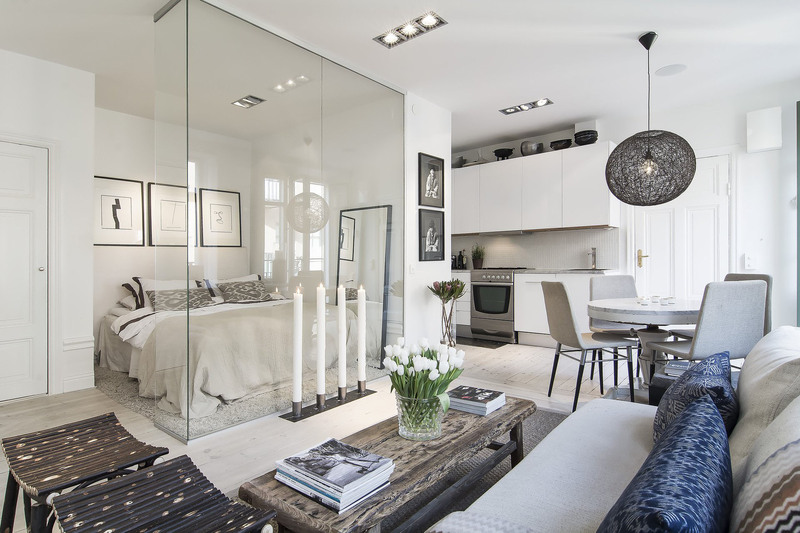 This modern small one bedroom apartment in Stockholm, Sweden uses a glass wall for the bedroom to provide a more spacious feel. 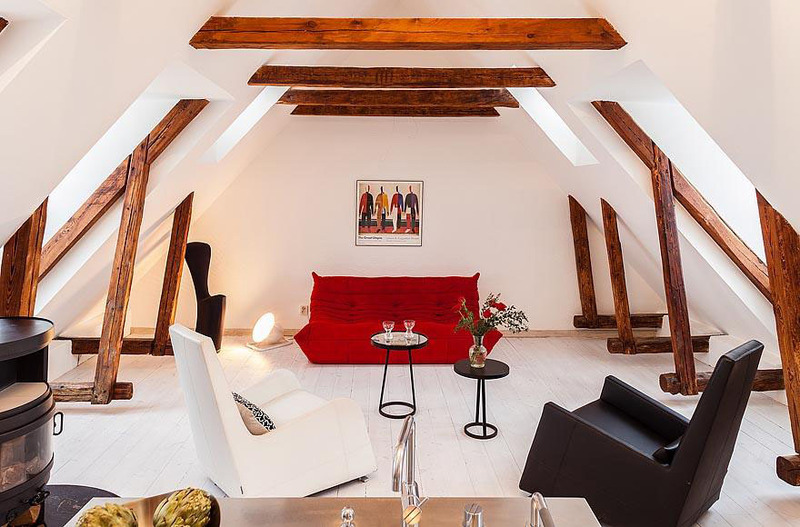 This attic penthouse apartment located in Old Town Gamla Stan in Stockholm, Sweden is a mix of old cultural elements and modern design. The large open living area is characterized by beautiful exposed wood beams and solid pine flooring. 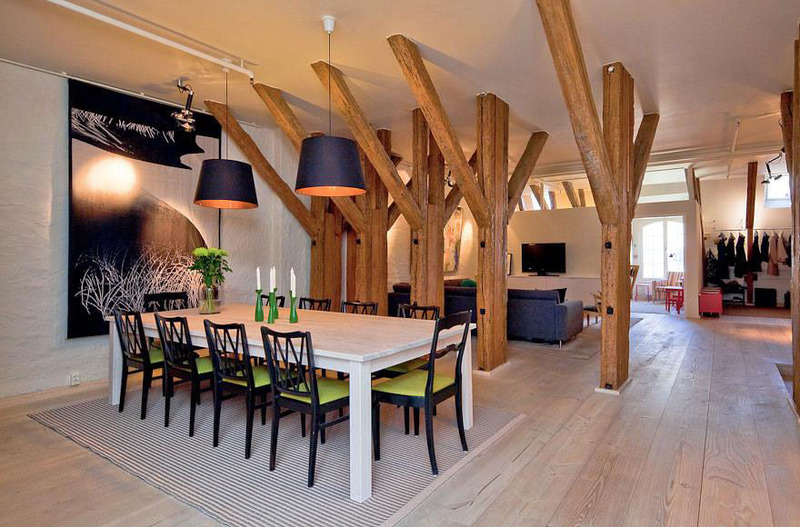 The exposed wood trusses and sloping ceiling provide plenty of character for this beautifully renovated duplex apartment located in the Gamla stan Old Town neighbourhood in Stockholm, Sweden.